Thank God for Standards! Or, Thank Someone Else? 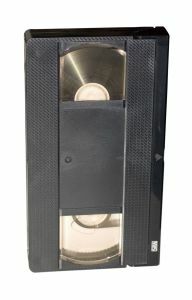 Millions of dollars went into the development of the Digital Video Disc format, its licenses, encryption schemes, patents, bushiness deals to ensure its success, and all the work that went into getting rid of those troublesome plastic cases with yard after yard of magnetic tape. We can all be thankful for that! years before the first MP3 player hit the market, although the technology of compressed digital audio had been seeing wide use in other circles for at least half a decade. We have seen similar transition from reels, to beta, to VHS, to DVD, and now to both HD-DVD and Blu-Ray DVD. When I say to both, I really mean it! 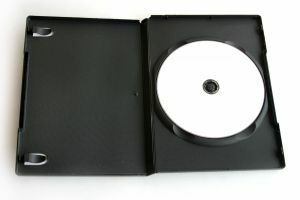 Warner Brothers is developing a triple-formatted disc, which has a DVD on one side, HD-DVD on the other, and Blu-Ray on a two-way mirror-like surface over the HD-DVD layer, allowing a single disc to work in traditional DVD players, HD-DVD, and Blu-Ray players. Seriously, folks, what point is there to all these competing formats, when the end result is to just use all of them? Before you know it, everyone will license this WB patent and all the players we buy will support both HD-DVD and Blu-Ray, and we won't even know which format will be used because our movies and players will be playing split-personality the whole way. The madness probably won't end until we move away from physical distribution methods, and even then there will be encoding, compression, and encryption wars, but at least our smart players and laptops will be able to just download any drivers they need automatically. Yeah, there still won't be a point to the varying formats, but it will be a little bit easier to ignore that there are competing formats, as we always will inevitably do. Doesn't that tell anyone something? I can't believe I can use the term "Traditional DVD", already. Concurrency and Stabilty. More Zen for Python. But, didn't PHP break the Web in the first place?